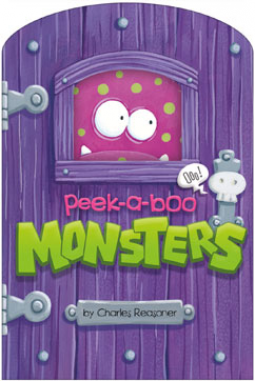 Today’s book review is for Peek-a-Boo Monsters, by Charles Reasoner, published by Picture Window Books (an imprint of Capstone Young Readers). I received an electronic copy of this book through NetGalley in exchange for an honest review. Peek-a-Boo Monsters is a peek-a-boo style board book featuring die-cut windows on each page that allow you to look through to a small piece of the following page. 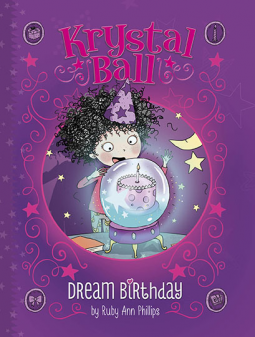 Although it’s a great selection to put you in the mood for Halloween, it’s not a Halloween-themed book–meaning that monster loving toddlers can enjoy reading it year round. Reasoner’s simple rhyming text is easy to follow. And while this seems like just a fun, silly book, the author still manages to sneak some educational concepts in as well. On the pages, toddlers will be introduced to opposites such as up/under, big/small, short/tall. His accompanying illustrations are cute and quirky. These are monsters that will make little ones giggle–or give out big hugs. Many of the monsters have speech bubbles which add to the playfulness of the book. On one page a little monster says “Grrr!” while a much larger monster leans away saying “Yikes!” And every page features cheerful colors to keep roaming eyes focused. I enjoy the overall design of the book. The font selections are appropriate and fun. They fit well with Reasoner’s illustrations and the tone of the text. In addition to the expected peek-a-boo cut outs, cleverly arranged on each page, the outlines of the pages are also adjusted to add additional visual interest. Everything comes together to create an attractive product. I give Peek-a-Boo Monsters 3 out of 5 stars. It’s not revolutionary, but it is a fun little book. It would make a fun Halloween present for a special little one. Or it could be used for a Halloween-themed story time, with a smaller group of children. Today’s review is for The Alphabet Parade, written by Charles Ghigna, illustrated by A. G. Jatkowska, published by Picture Window Books (an imprint of Capstone Young Readers). I received an electronic copy of this book from NetGalley in exchange for an honest review. This might be my new favorite alphabet book. At the very least, it’s now my favorite alphabet board book. 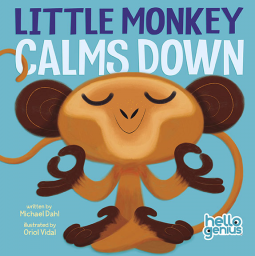 It’s a great example of a well-conceived and well-designed book for toddlers. First it uses vivid language full of rhyme and alliteration to help children develop their verbal skills. It’s a joy to read aloud–and I love that it introduces some uncommon words for curious toddlers. 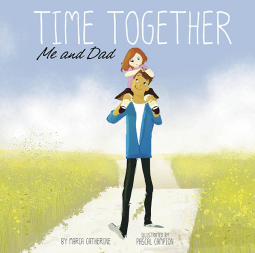 Any caregiver or educator can probably attest to the abundance of simplistic language in books targeted to the 1-3 years old crowd. It’s refreshing to read something that shows toddlers the joys of playing with language. And the vibrant illustrations of Jatkowska bring Ghinga’s text alive. Each member of the parade, whether human or animal, is brought to life in these joyful and colorful pictures. Whether it’s an image of a fiddling fox or a vocal vulture with a microphone, the illustrations are sure to delight children and adults alike. The attention to detail is delightful. To finish things off, the book exhibits wonderful design principle. Font choices are thoughtful and complement the illustrations. The primary text is black, while highlighted letters and words are presented in various colors and all caps font to showcase their importance to young children. The text is easy to read and well-placed on the page. This book wins 5 out of 5 stars. Concept books can be challenging–but this one delivered quality. I would definitely recommend it and will encourage my local library to add it to their collection.